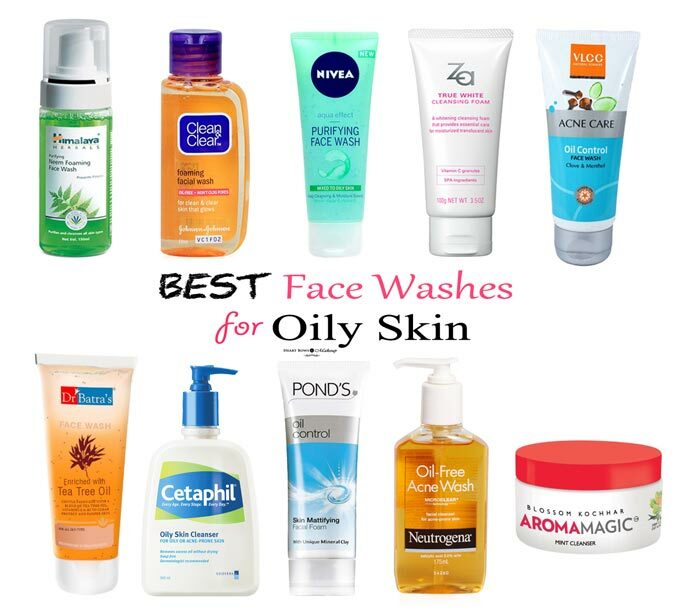 Home » Best Of The Best » Best Face Wash For Oily Skin in India: Affordable & Budget Friendly Options! Best Face Wash For Oily Skin in India: Affordable & Budget Friendly Options! Top 10 Best Face Wash For Oily & Acne Prone Skin in India: Affordable Options! Oily skin beauties will understand the pain of keeping the excess oil and shine at bay from the face throughout the day. However it’s not that difficult to handle oily skin if you start right. Yes, start your day with a right face wash and half of the work is done because a good cleanser which is formulated for your skin type will solve your skin concern to a good extent. Since the market is flooded with options these days, we compile the best face washes for oily skin in India – Our Top 10! Oh and these are super affordable! Best Face Wash For Oily & Acne Prone Skin in India : Affordable Options! 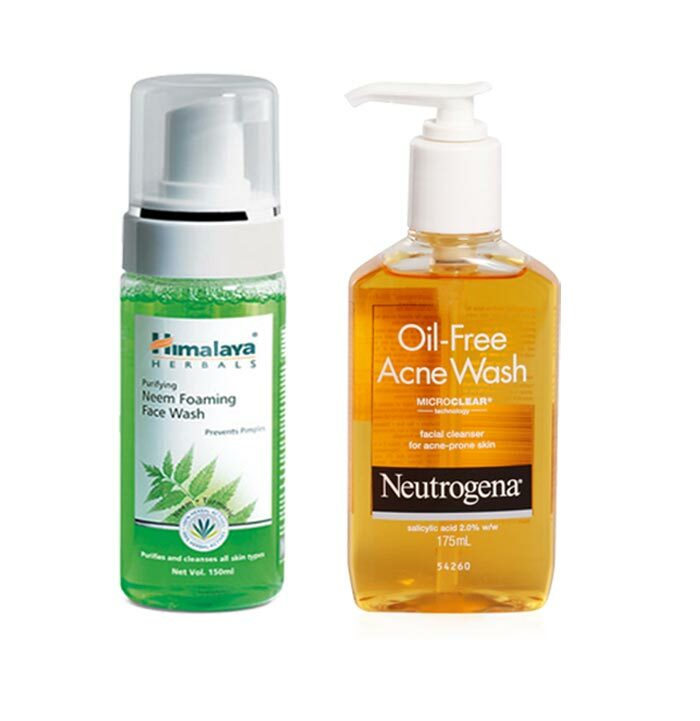 1) Himalaya Herbals Foaming Neem Face Wash (Price: Rs 195 for 150 ml) : Talking about oily skin, the best face wash in India especially for oily and acne prone skin has to be the Himalaya neem face wash. It’s a cult favorite of many and is so very affordable. The combination of neem and turmeric not only deep cleanses the skin but also improves skin texture with regular usage. This is an antibacterial face wash so it will control and prevent acne effectively. 2) Neutrogena Oil Free Acne Face Wash (Price: Rs 499 for 170 ml) : This mild, oil-free and dermatologically tested face wash from Neutrogena will leave your skin squeaky clean and supple after every wash without stripping off the skin’s natural moisture. It manages to keep the zits at bay and will not accentuate your skin issues because the formula is safe to use. You’ll wake up with glowing and smooth skin every day. Definitely quite a favorite with oily skin beauties in India. 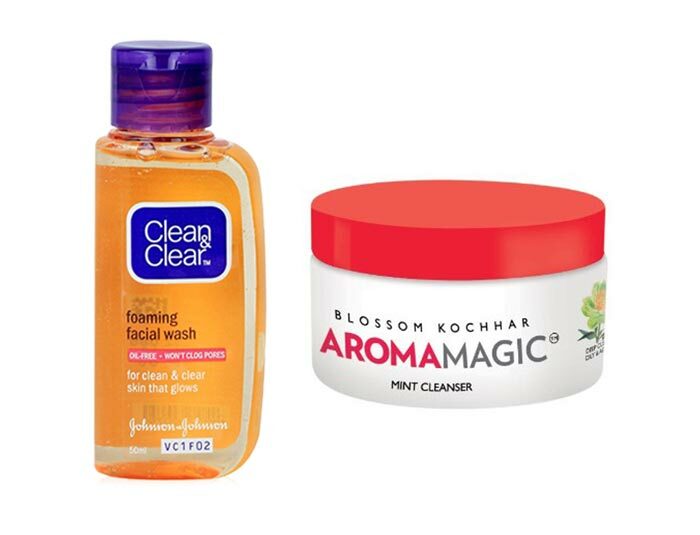 3) Clean & Clear Foaming Face Wash (Price: Rs 120 for 150ml) : All you need is a little drop of this cleanser as it lathers up very well removing dirt and impurities. This is one of the most popular and best face washes in India for oily skin and acne. Also a very affordable face wash however, strictly recommend only for oily skin as it may dry out normal to combination skintype! 4) Aroma Magic Mint Cleanser (Price: Rs 495 for 200 ml) : This mint cleanser is specially formulated for oily and irritated skin-type because it contains soothing properties. The amazing refreshing mint scent will soothe your senses and will revive your tired looking skin. It also removes excess oil, prevent sebum and will deep clean clogged pores. 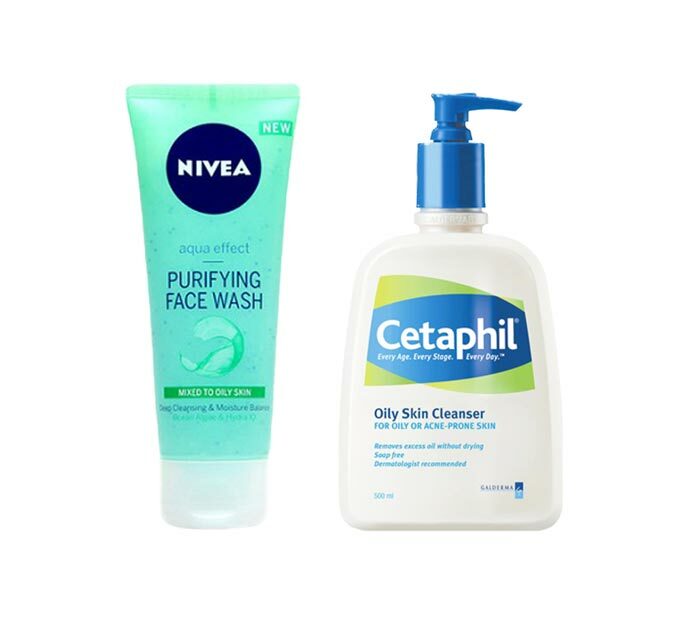 5) Nivea Purifying Face Wash (Price: Rs 99 for 75ml) : Nivea is a well trusted skincare brand and their aqua effect purifying face wash is suitable for combination to oily skin. Popular as the best face wash for oily skin and blackheads, this face wash deep cleanses the skin due to its purifying scrub particles and gives a matte effect. 6) Cetaphil Oily Skin Cleanser (Price: Rs 350 for 125 ml) : This cleanser is oil-free, dermatologically tested and doesn’t clog the pores. It removes excess sebum which is the main cause of acne and other breakouts. With regular usage your skin will feel incredibly good because it deep cleans the face due to the purifying properties. 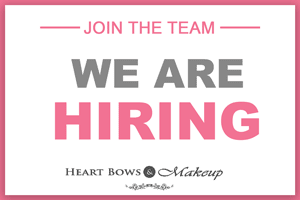 Many women swear by this brand and its totally worth a try! 7) Dr Batra’s Gentle Tea Tree Face Wash (Price: Rs 175 for 100ml) : The face wash is formulated specially for oily to combination skin type and has a very impressive ingredient list. With regular usage it reduces pimples because of the antioxidant and antibacterial properties. Moreover, it also contains vitamin-E which will impart a natural glow when you use it at a stretch. Definitely the best face wash for oily and acne prone skin in India! 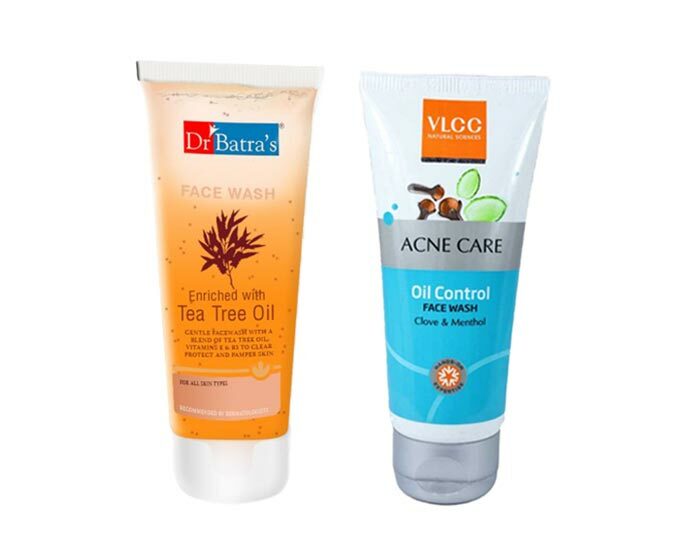 8) VLCC Acne Care Oil Control Face Wash (Price: Rs 60 for 50ml) : You will either love this face wash or detest it. If this works for your skin, then it will work wonders but some might be put off by the strong clove smell. It manages to remove excess sebum from the skin and lathers well. Try this out if you don’t have a sensitive nose or detest the smell of cloves. 9) ZA True White Cleansing Foam Face Wash (Price: Rs 350 for 100 ml) : If you’re looking for a cleanser which not only makes skin purified and squeaky clean but also brightens it up then this ZA face wash is worth trying. It effectively removes oil, grime and daily dirt from the face and adds an instant glow to the face. 10) Ponds Oil Control Skin Mattifying Facial Foam (Price: Rs 130 for 100gms) : This is a great affordable face wash for those with combi-oily skin. It effectively cleanses the skin, removes excess oil and manages to remove light makeup as well. It lathers very well and is very easy on the pocket! Also Read: Best Hair Spray in India: Affordable Options!